I’m sick. Lord I hate being sick. So I’ve made myself a quick and dirty get-well soup out of the low-amine vegetables in the house. Fast, easy, and one bowl in, I am already starting to feel better. 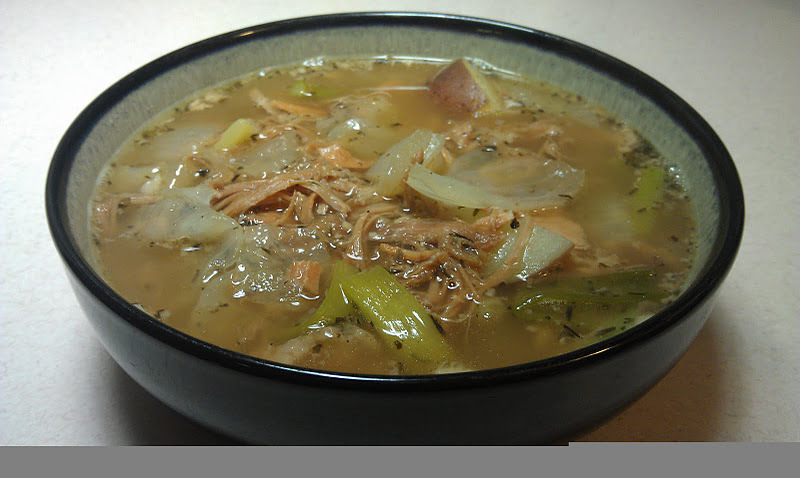 Healthy soups are good medicine! Heat oil in stock pot on medium. Add cut onions, green onions, and carrot. Cook until onions are starting to go translucent. Add chopped cilantro, asparagus, daikon, napa cabbage, and soy sauce substitute. Stir and cover with lid. Cook for about 5 minutes. 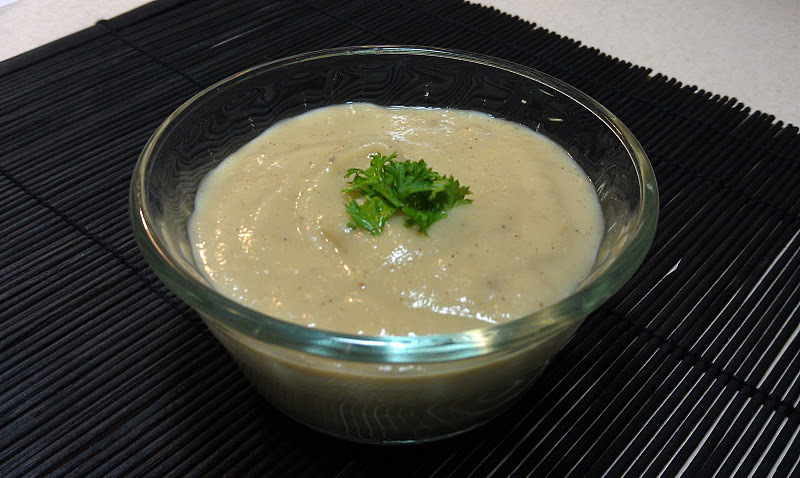 In a small food processor, puree garlic and ginger. Add water as necessary to keep it moving. Add puree, beef broth, and vegetable broth to the pot. Stir. Bring to a boil and then reduce to a simmer. Cover. 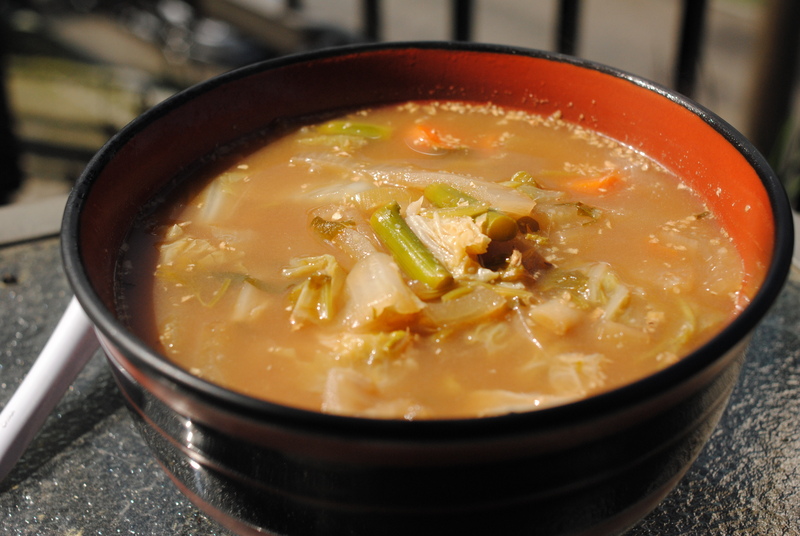 Cook low-amine soup for 15 minutes, or until cabbage has reached desired doneness. 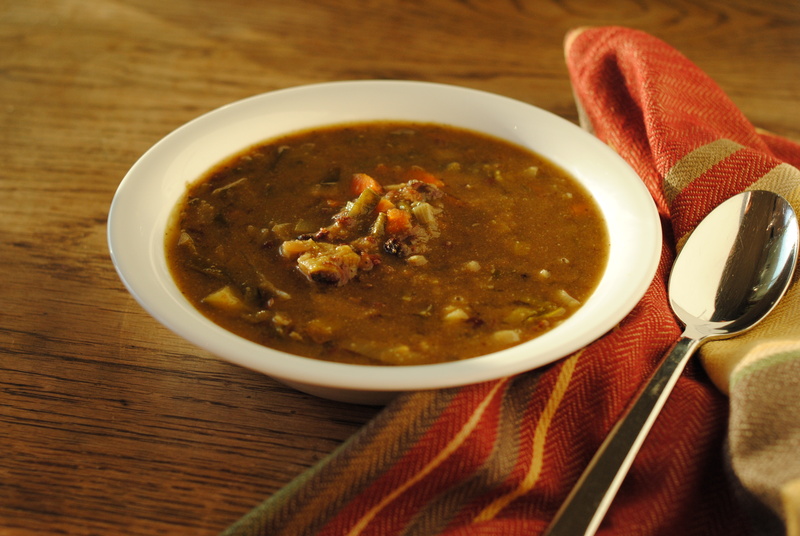 This soup is nutty and earthy, and great as a low-amine appetizer or entree. It’s very easy to make, and fits with a number of allergy restrictions. 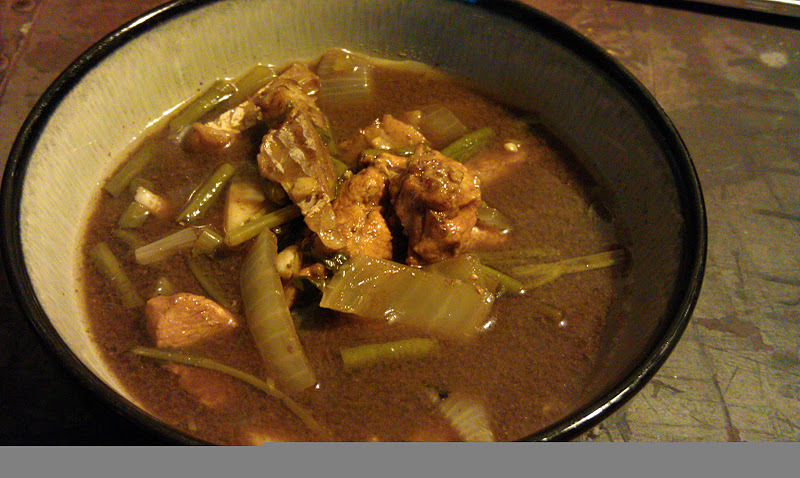 Originally, I found a similar recipe on Chow.com, but when I made it, I found it unsatisfying and not nearly nutty enough. With several tweaks, I think the flavor developed a much deeper flavor. However, I also discovered upon further research that chestnut is high in amines, so buyer beware! My roommate and I love hot and sour soup. A lot. However, with my low amine problem, and her being gluten-free and soy-free, it makes eating hot and sour soup an impossibility. 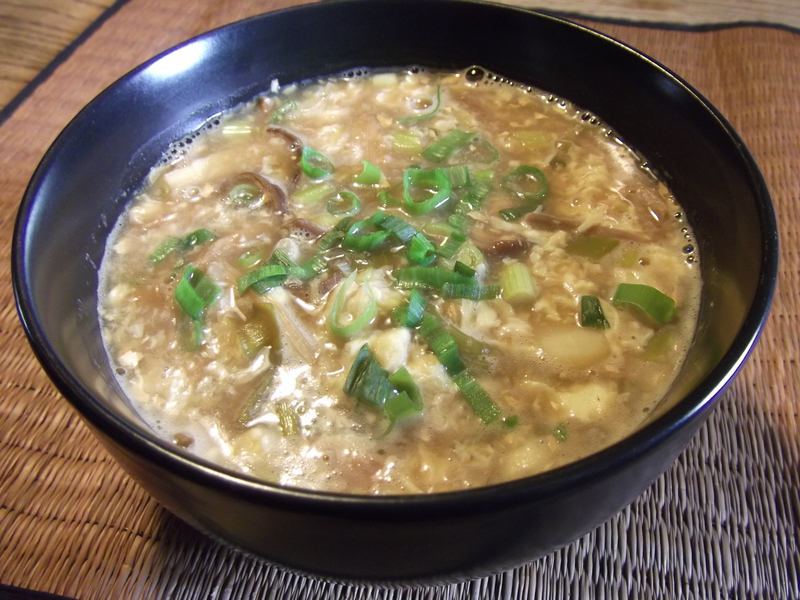 Because of that, I developed substitutes for sherry, sesame oil, rice vinegar, and soy sauce so that we would be able to enjoy a bowl of low-amine, gluten-free, soy-free hot and sour soup together. It turned out fabulously (though not nearly spicy enough for our liking – we ended up adding a lot of cayenne, but we’re crazy with the heat). Enjoy! 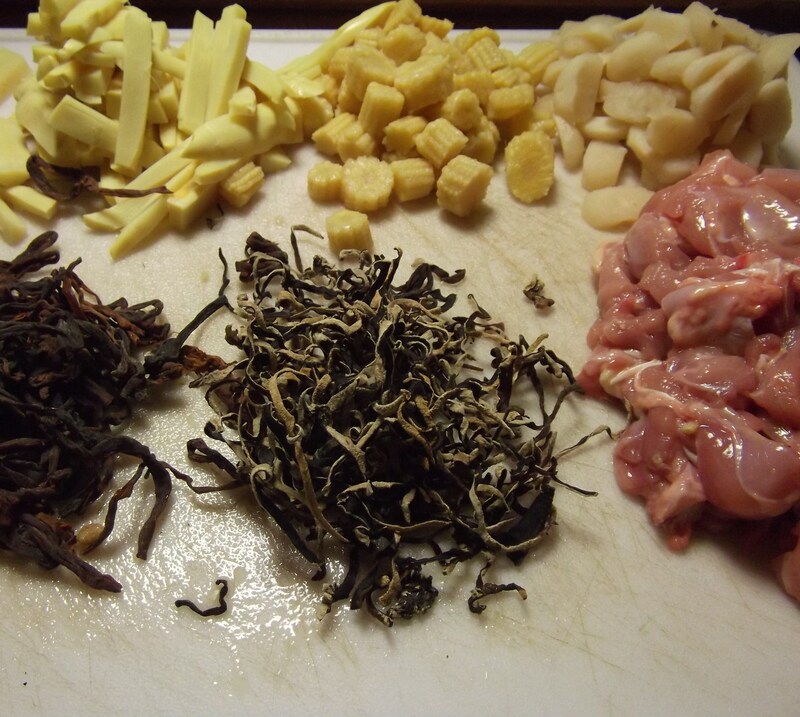 Clockwise, top left to bottom right: Bamboo shoots, baby corn, water chestnuts, chicken, black fungus, and lily flower. In a large pot, heat the sesame oil substitute to medium low. Add garlic, red pepper flakes, and ginger until fragrant and lightly browning. Thoroughly rinse black fungus and lily flowers in hot water to remove as many preservatives as possible. 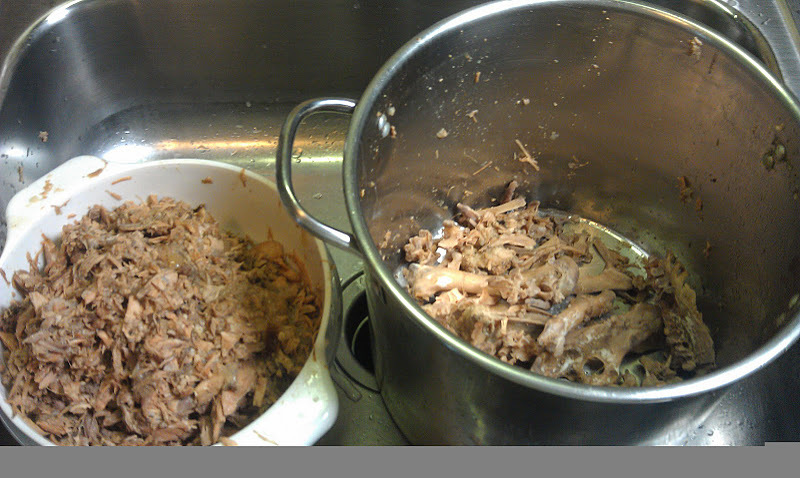 Add combination of sherry/vinegar substitutes, soy sauce substitute, and broth. Add black fungus and lily flower. Simmer for 10 minutes. Add chicken/shrimp, bamboo shoots, water chestnuts, baby corn, sugar, and white pepper. Simmer for five minutes. Stir cornstarch and water solution till an even consistency, and drizzle mixture into the pot while constantly stirring for one minute. 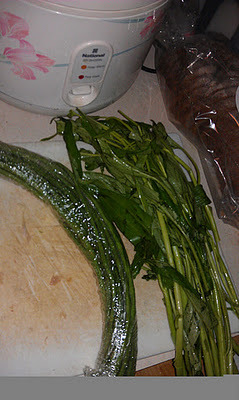 Add 3/4 C green onions. Remove from heat and pour in the beaten egg in a circle shape around the perimeter of the pot. 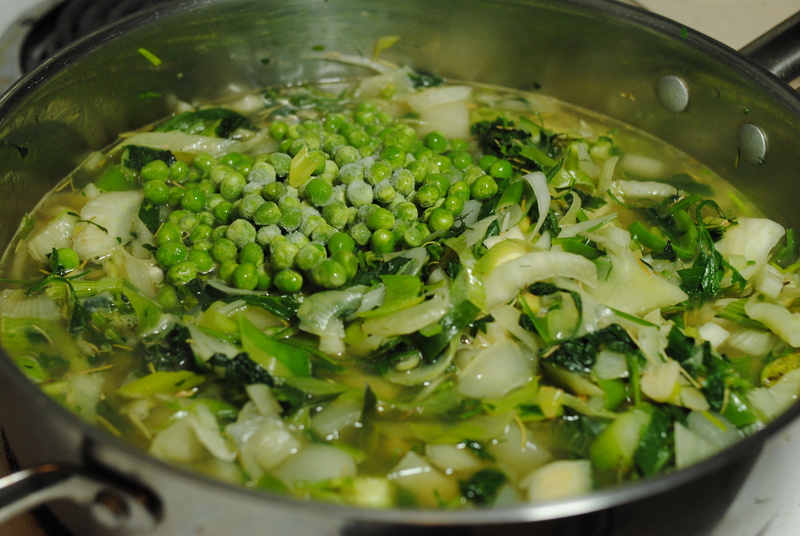 Mix the soup with a slow stir, only once, around the perimeter of the pot. Stir it more than once and the egg will break down into bits smaller than you want. Ladle into a serving bowl or individual bowls. Garnish with a sprinkle of green onions and serve. 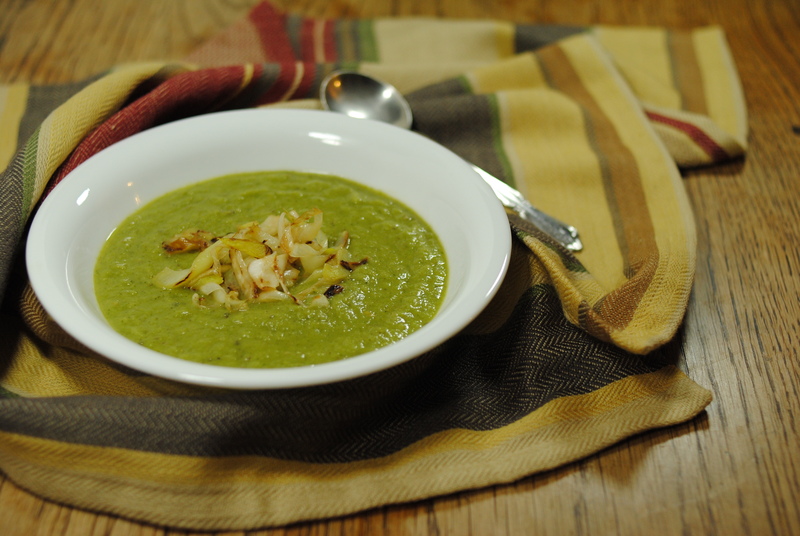 Pear Fennel Ginger Soup is slightly sweet, slightly fruity. I imagine it pairing well with chicken, fish, or lamb very well. The cardamom and sage bring it back down to earth and give it a warming, savory flavor. Don’t be so skeptical – it’s all low amine, and it’s all delicious. 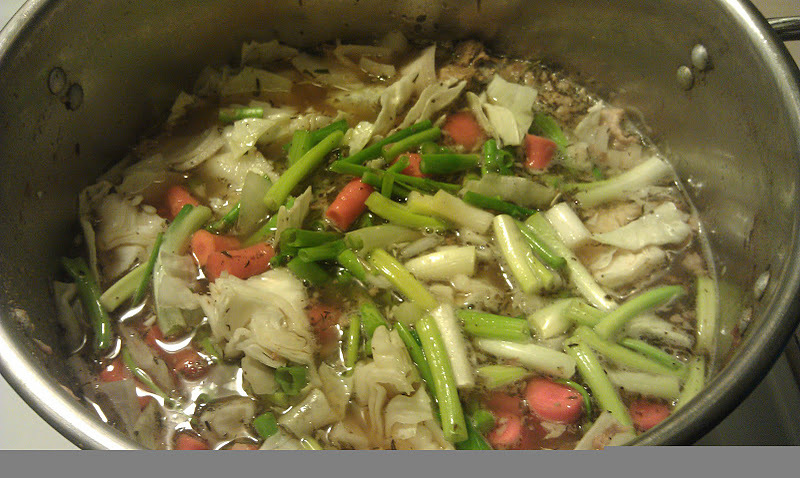 Add all ingredients to a stock pot, then cook for 30 minutes on medium heat. 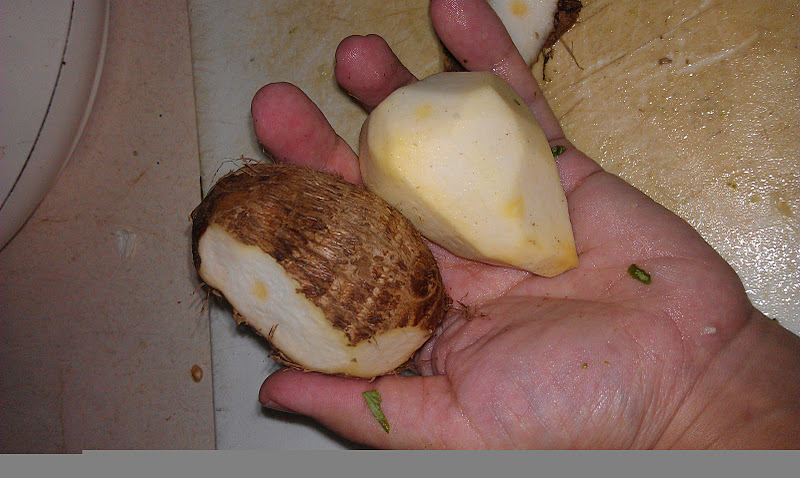 Add additional 1 Tbsp minced ginger. 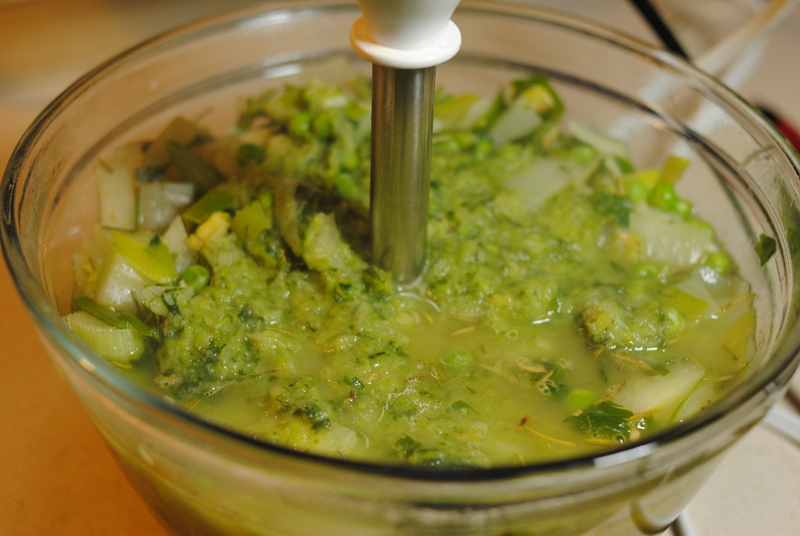 Using an immersion blender (if you have one, otherwise a food processor or blender), puree until very smooth. 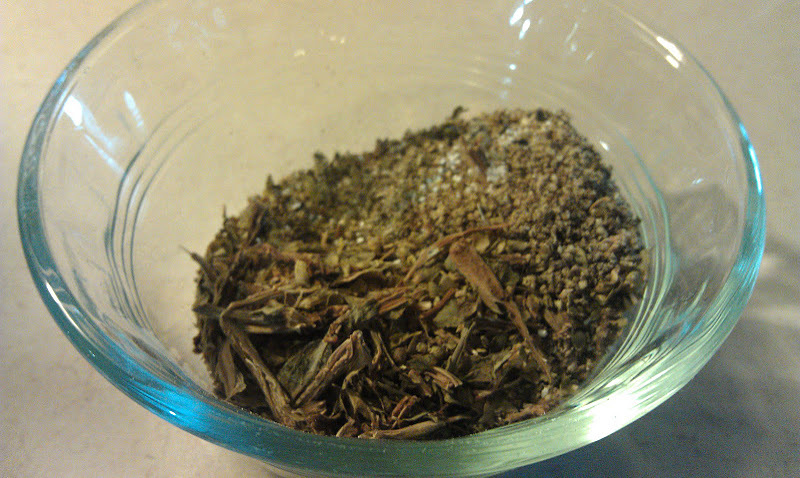 Serve garnished with a small sprinkle of minced sage. Good served either hot or cold. 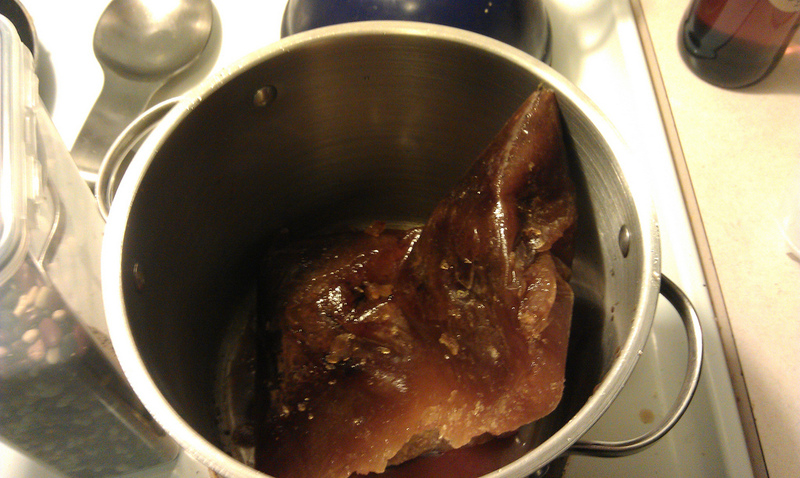 Now that you’ve made a giant batch of homemade beef broth, what do you do with it? 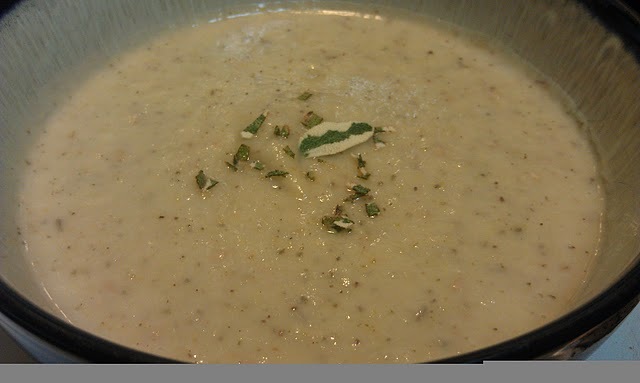 I like making soups, especially during this time of the year. They’re easy, delicious, hearty, warming, and affordable. Bring broth to a simmer and add rice, salt, pepper, oregano, bay leaf, and thyme. Cook for 15. Chop carrots, celery, onion, and green beans into small, bite-sized pieces. Keep vegetables separate. Add carrots, onion, and celery. Cook for 5. Add green beans. Cook for 5. Remove bay leaf (or at least don’t serve it to anyone). I was feeling under the weather, and needed some hearty soup to help clear the evil out of my body, so decided to throw together a low amine soup. 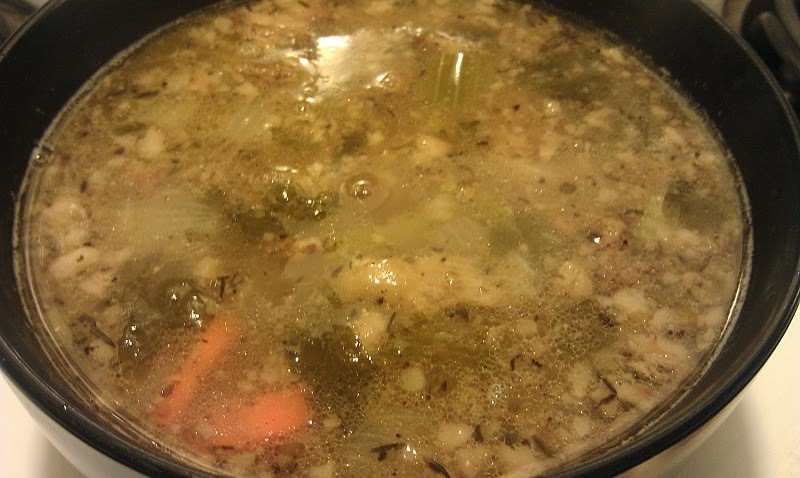 In a medium sized stock pot, bring pre-made vegetable (or other stock) broth to a boil, add beans, and reduce to low simmer. Add parsley, cumin, turmeric, bay leaf, rosemary, salt, and pepper. Cover. Heat a separate sauce pan to medium high. 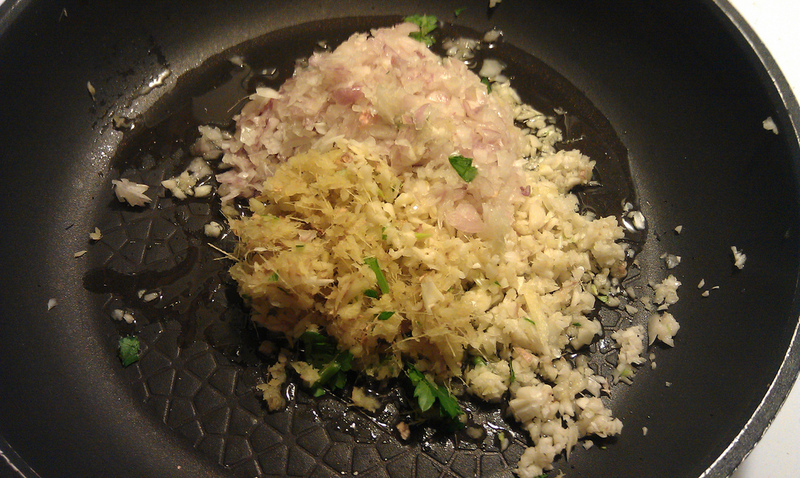 Add oil and minced garlic, ginger, and shallot. 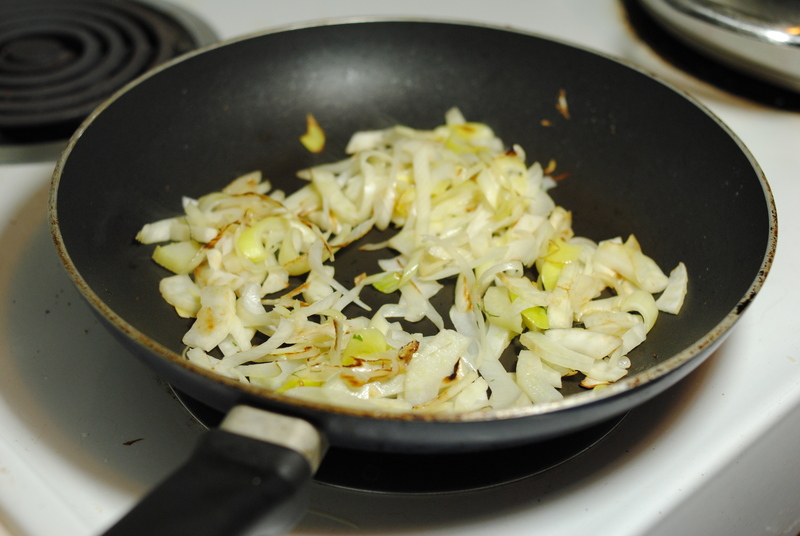 Stir often and cook for about 3 minutes, or until fragrant and garlic has started to brown. Add cooked spices to stock pot. Simmer for an hour or until beans are done. 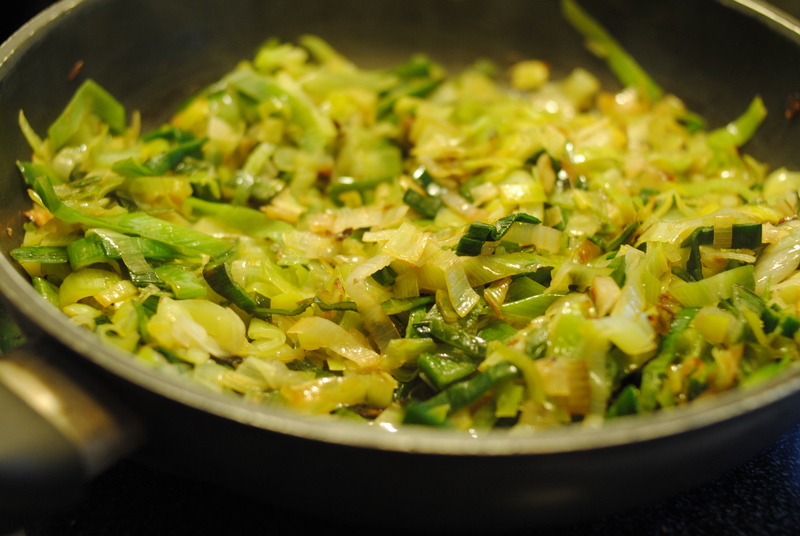 Add bok choy / napa cabbage, lime / ascorbic acid, and water. Cover and cook for 15 minutes on low (just barely simmering). Chop sweet potato and Russet potatoes into small, bite sized pieces. Add to the pot. 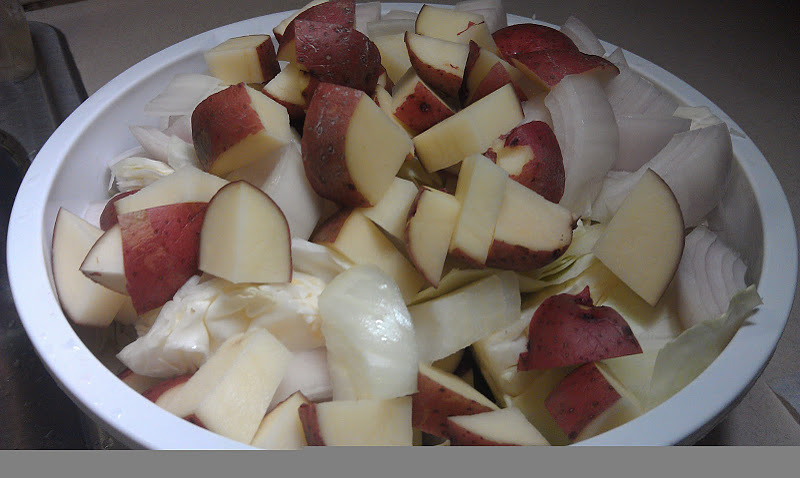 Cook for additional 15 minutes, or until potatoes are tender. 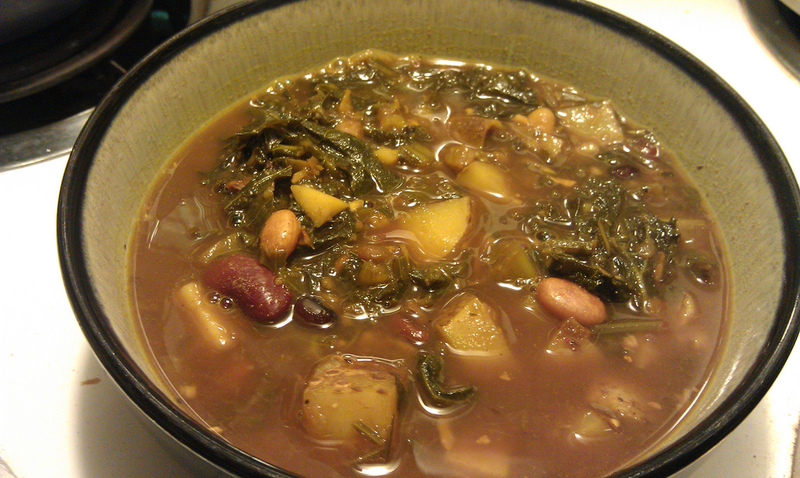 Low amine bean and greens soup is done when the largest beans in the soup are cooked through.